The LINE VOLTAGE REDUCER is a Bucking transformer that uses out-of-phase primary to secondary windings to step-down the Incoming LINE voltage from a nominal 120 VAC to a voltage safe for Vintage tube amplifiers that were designed to operate at 117 VAC. This is important because a couple of Volts increase of the incoming Line voltage will shift all of the voltages within the amplifier exponentially higher and therefore out-of-specification. 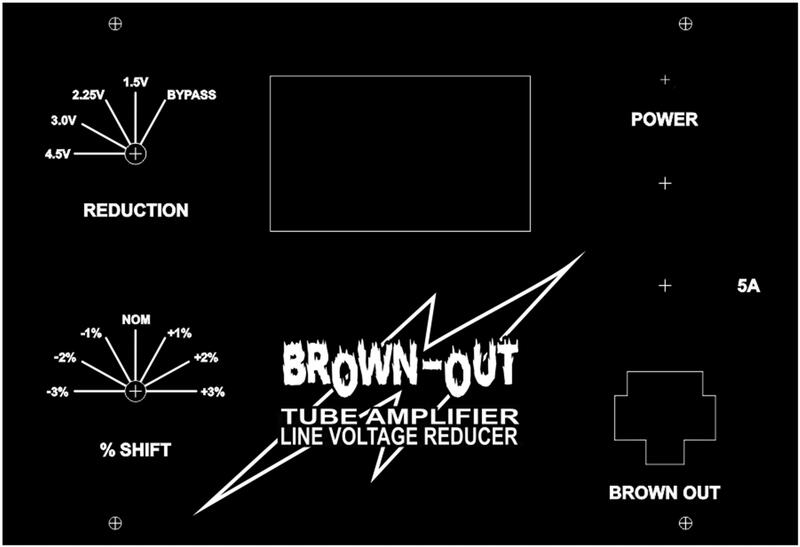 The LINE VOLTAGE REDUCER is packaged with rotary switches for voltage reduction, a Voltmeter and Ammeter to monitor the output voltage, Circuit Breaker and a Power Switch that controls the output to the BROWN-OUT AC Outlet.